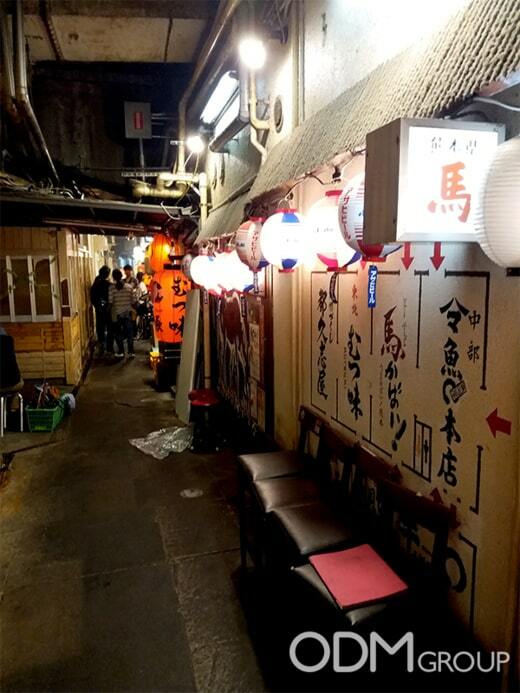 The ODM Group have spotted in Tokyo a nice and cheap way of promoting your brand in Asian Advertising style. 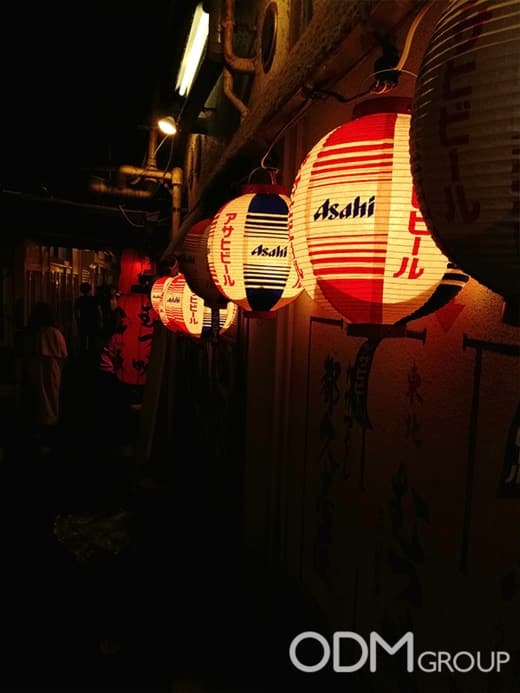 Indeed, the famous beer company Asahi have used Branded Lanterns to promote their brand. We found this idea very cleaver and effective because of its cost and its brand exposure possibilities. Those lantern are made out of paper which is one of the cheapest and easiest material to work with. Due to that, it is one of the most cost-effective way to promote your brand. The lantern are fully customizable so you can brand them with your logo and custom colors. As you can see you can use those Lantern as POS which can be a very good advertising for your pub or restaurant, especially if your enterprise offer some oriental dishes. In general this will work anywhere in Asia also due to the Eastern design. You can also choose to give them to your customers as GWP for Lunar New Year which will enhance your brand awareness incredibly. Brand Recognition: With your logo everywhere in the street, your brand will be seen and recognized by everyone. That kind of advertisement is one of the most effective one due to the cost and the fact that your logo is well placed. Creative Approach: Due to the Japanese style in advertisement, your customers might feel like they are travelling in Asia. Which is a good point because customers will have a nice memory of your promotion! Cost Effective: Indeed, its cheap cost and its practicality made this product one of the best advertisement accessory.